Planète Chocolat offers you secure methods of payment. Our delivery charges for Maine are €17,90 including taxes. 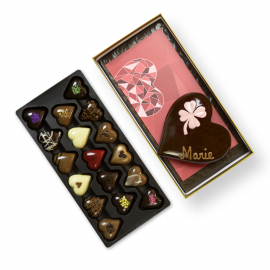 Do you live in Portland, which is Maine’s coastal city and would like to offer some incredible Belgian chocolate to your significant other? 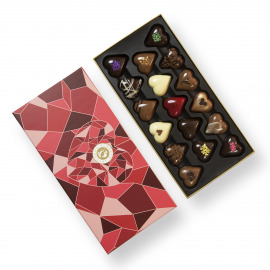 Does your mom live in Augusta, the capital’s state, and deserves to receive some chocolates for Mother’s Day? Or would you like to thank a friend who accommodated you while you were visiting Caribou? 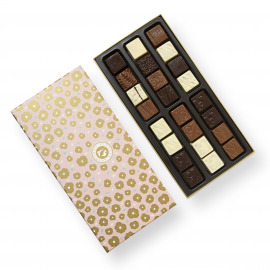 Consider using Planète Chocolat’s gift delivery service to receive the best Belgian chocolate, even in the most northerly U.S. state! Located in the most north-east position in the country, Maine shares its borders with the Atlantic Ocean and two Canadian provinces, one of which being Quebec. It is the only American state to share its borders with one other state : New Hampshire. Its scenery and landscapes are varied. There are vast forests that cover 90% of the entire territory, with swamps leading to the North, low mountains and banks located in the center and out west. There are also a lot of islands located on its rocky coasts. In autumn, when the leaves turn red, it’s as if all of nature lets out its colours. Its infinite sandbanks, its adorable bays and fishing villages make Maine an increasingly more touristy destination. You can also go whale watching and the state offers all sorts of opportunities for sports. It is also important to note that Maine has one of the best ski hills in Eastern U.S.A.
Write Stephen King was born in Maine and was inspired a lot of rural landscapes in his work - and made them even more terrifying. The main rivers are Penobscot and Kennebec, but there are many other water sources and more than 6,000 lakes. Due to this fact, commercial fishing, since a long time ago, has been the primary sector in Maine and to this day on plays a rather important part in supporting the state’s economy. It generates 90% of the national production of lobster. 65 iconic lighthouses are positioned all along the coast of this state. After having guided marines and fishermen during hundreds of years, it is now possible to visit them. Even though a lot of lighthouses are not accessible by foot, you are able to take a boat tour to observe them. ‘Nubble Light,’ which is located in York County, is one of the most famous lighthouses in Maine. Maine is the first producer of cornflower in the world, which is blueberry’s ‘fruit cousin,’ and it isn’t uncommon to find a subtle mix of wild cornflowers in chocolate. For example, it’s one of Gifford’s Famous Ice Cream’s specialities. This ice cream shop makes ice cream that combine the flavours of the two ingredients. Other sugary specialities of Maine use chocolate to make ‘Whoopie pies’, which is two cookies with a creamy filling inside ; then there are artisanal confectionaries like the ‘Black Dinah,’ located on Isle Haute, or even blackcurrant truffles (which are made with blackcurrant, of course) from the island as well as bitter chocolate made from Venezuelan cocoa beans. 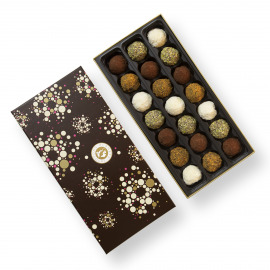 These truffles allowed for their designers to take home the prestigious gastronomic award at the ‘Good Food Awards,’ in 2015. 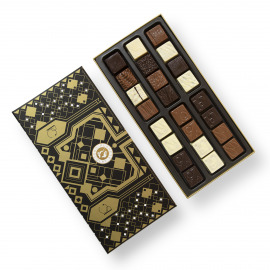 And well, for those who like chocolate, make sure to visit Portland’s confectionary ‘Len Libby Candies,’ to discover a whole new world when it comes to chocolate. The sculpture in this confectionary has been around since 1997, it is not only impressive in terms of its size, but also in terms of its weight! It weighs 771 kg and is made completely out of milk chocolate. 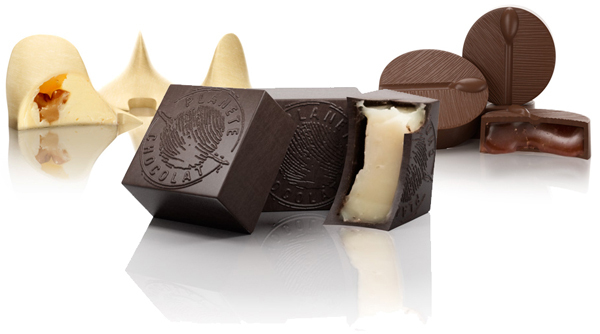 For more subtle yet delicious flavours, consider sending yourself chocolate to Maine with Planete Chocolat’s delivery service. 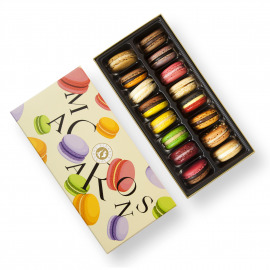 Whether it is for a birthday gift, a wedding gift, a baptism or Valentine’s Day, a box of pralines, truffles, fruity chocolate sticks or macarons can also serve as a thank you gift for a colleague at work or your neighbour. 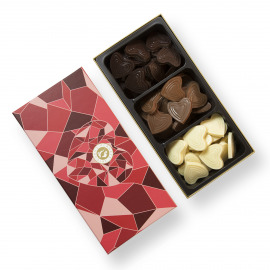 Don’t hesitate to discover artisanal Belgian chocolate while delighting your taste buds with its velvety texture! 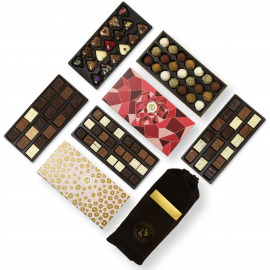 In order to guarantee a quality delivery service to Maine, we wrap your chocolate in a special isothermal package invented by cooling specialists if temperatures tend to be high. Your chocolate is sensitive to heat and fragile, therefore it is protected from impact and kept at a temperature under 20 degrees until it arrives at its destination. Thus, quality and taste are always guaranteed.